Fiat Chrysler Canada says pricing for the redesigned 2017 Jeep Compass will start at more than $26,000, while the compact crossover will become the second most-fuel efficient Jeep after the Renegade. FCA Canada said on Tuesday that the Compass pricing would start at $26,695, including delivery, for the base two-wheel-drive sport trim. The mid-level North model will start at $30,190, while the higher-level Trailhawk awd trim will start at $34,690. The top-end Limited awd will start at $36,690. All prices include shipping. The redesigned Compass, which is now built for the Canada in Toluca, Mexico, is equipped with a 2.4-litre I-4 engine and one of three transmissions: a nine-speed automatic, a six-speed automatic and a six-speed manual. The manual-equipped two-wheel drive Compass produces the highest fuel economy ratings at 10.4 L/100km city and 7.3 L/100km highway, while the same all-wheel-drive Compass is rated at 10.8 L/100km city and 7.6 L/100km highway. The two-wheel-drive Compass equipped with a six-speed automatic earned 10.6 L/100km city and 7.6 L/100km highway rating, while the all-wheel drive equipped with the nine-speed automatic was rated 10.8 L/100km city and 7.8 L/100km highway. 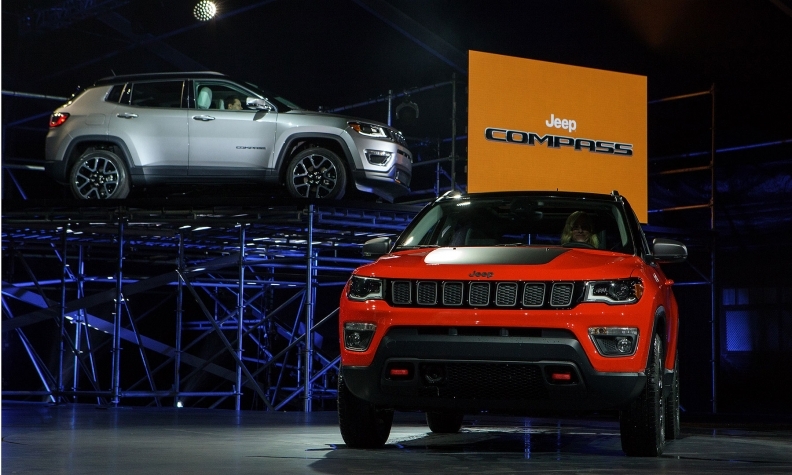 FCA has started shipping the new Jeep Compass to Canadian dealers.